While visiting Page, AZ last November for a balloon rally we had the opportunity to take a boat tour of Antelope Canyon. We had earlier declined because we had the dogs with us but sometimes you just have to ask if they are welcome. The boat driver had no problem with them coming and there was plenty of space. 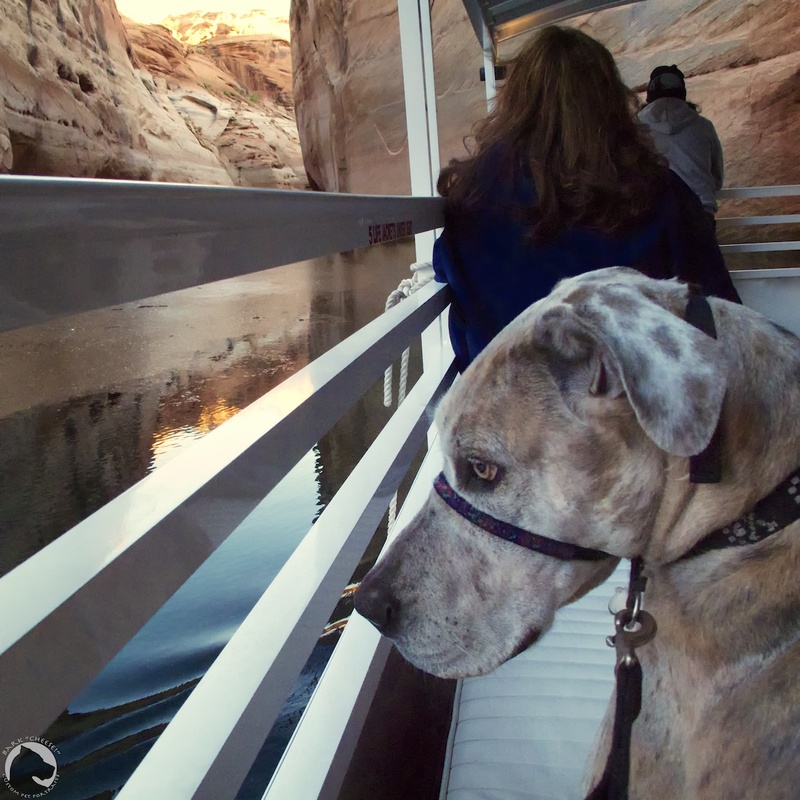 I think the other passengers took more photos of the dogs then they did of the canyon. 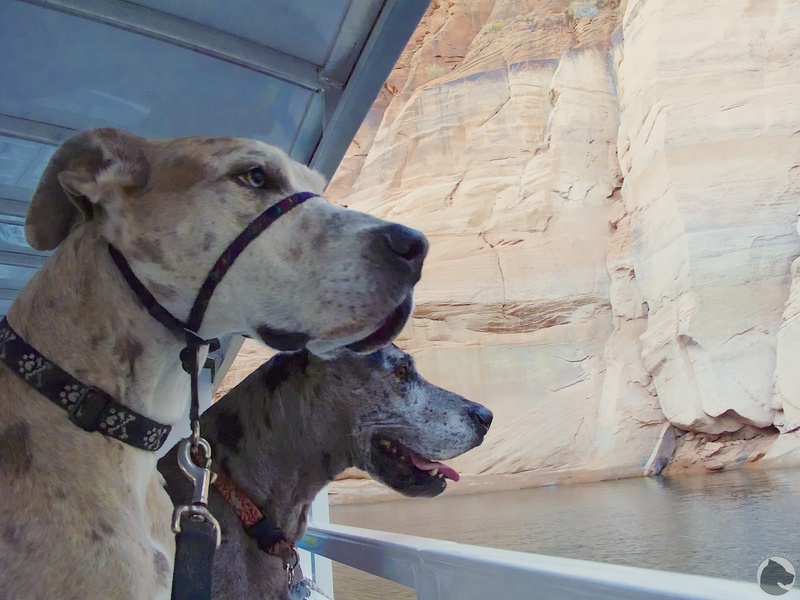 This entry was posted in Great Danes and tagged Antelope Canyon, AZ, Great Dane, K'Ehleyr, Lake Powell, Page, pet travel. Bookmark the permalink.